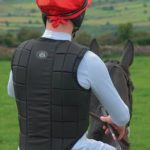 While Body Protectors are mandatory for some competitions, an increasing number of riders describe feeling more confident, therefore riding more positively, when wearing one in everyday situations, from hacking to schooling over fences. 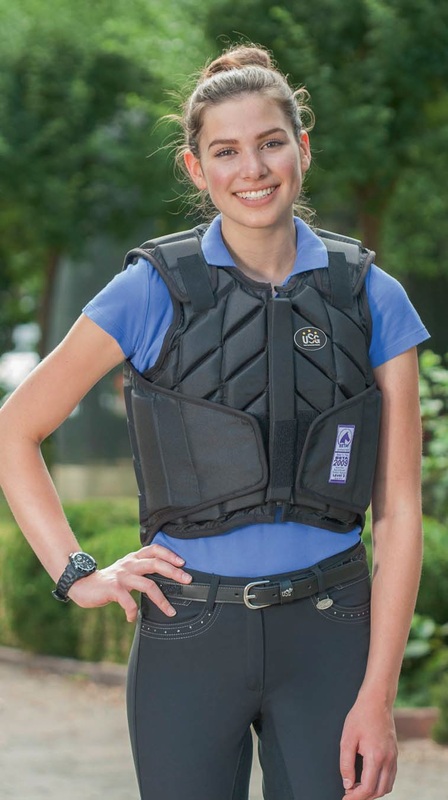 Whether you are riding for pleasure or in competition, USG Body Protectors are an ideal preventive measure in the event of an emergency, designed to offer protection to the rider by absorbing the high levels of energy created when falling off or being kicked by a horse. The USG safety products have won many BETA awards for safety & security and they are certified to the highest BETA and European standards. 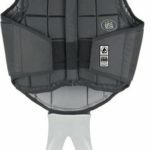 The USG Flexi Motion Vest is highly flexible, with smaller triangular blocks that allow for maximum movement, flexibility, and comfort. The outside material is washable, dirt-repellent Polyester. 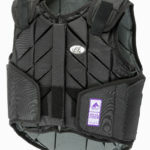 Width and length are easily adjusted on the shoulders and waist with heavy-duty Velcro closures. 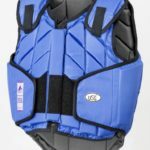 The USG Eco Flexi Body Protector Vest is an inexpensive and lightweight vest that provides shock absorption and impact reduction. The zippered front allows for easy on/off and the adjustable waist and shoulder velcro straps allow for a personalized fit. A reliable choice for any beginner rider. Perfect for summer camp! The USG VZERO EquiAirbag is the perfect protection for your spine. The VZERO is certified for riders according to EN1621-4, Level 2 and is currently the fastest airbag protector. 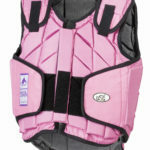 This airbag can be worn by itself or with every commercially available body protector. 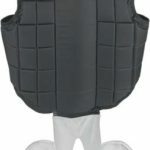 Featuring multiple individually adjustable straps, this vest is “one size fits all,” beginning at Child’s XL. 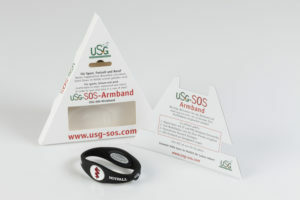 SOS Armband – for sports, leisure, and work. 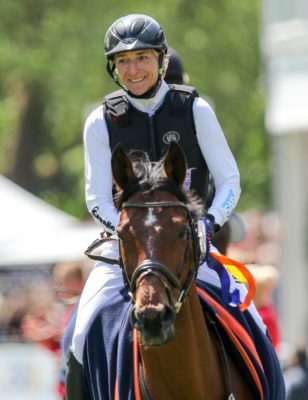 The SOS Armband is ideal in the event of a fall from a horse or an everyday emergency event, offering quick help and access to yours and your horse’s emergency information. This product allows you to log in and create an account profile to which you can save crucial information such as medicinal allergies or emergency contact info. In the event of an emergency, first responders will be able to access all vital information via your accounts unique ID/PIN. Comfortable to wear, waterproof, and durable. The Flexi Race Safety vest is cut short. The honeycomb protector system creates maximum wearing comfort with extremely good adaptation to each body shape. The dirt-repellent polyester outer covering is sturdy and washable. The Flexi Race is comfortable to wear and can easily be adjusted with heavy-duty velcro fasteners on the waist and shoulders. USG Leg Straps are also available; sold separately. 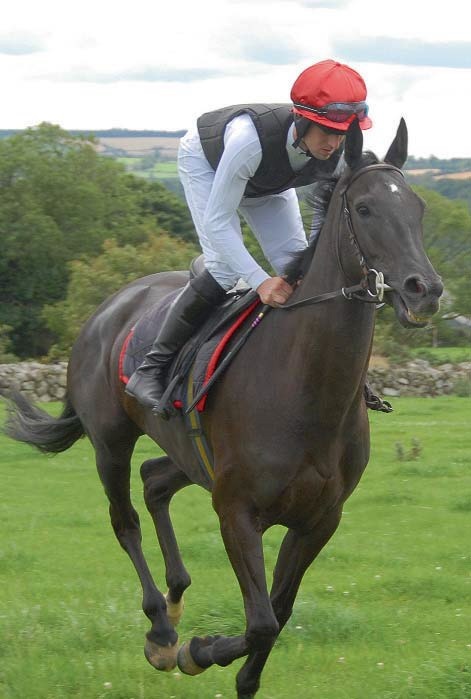 Certified according to EN 13158-2009 Level 1 for Jockeys and BETA Standard 2009 Level 1. 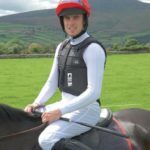 *This vest complies with the National Thoroughbred Racing Association Safety and Integrity Alliance 2017 Code of Standards.